Ascending Butterfly: Wordless Wednesday! 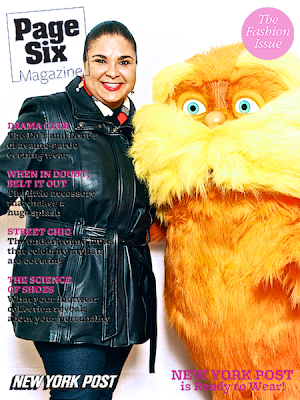 - Ascending Butterfly and The Lorax make the cover of Page 6 Magazine! Wordless Wednesday! - Ascending Butterfly and The Lorax make the cover of Page 6 Magazine! Awesome cover shot!! I'm taking my kids to see The lorax today! !